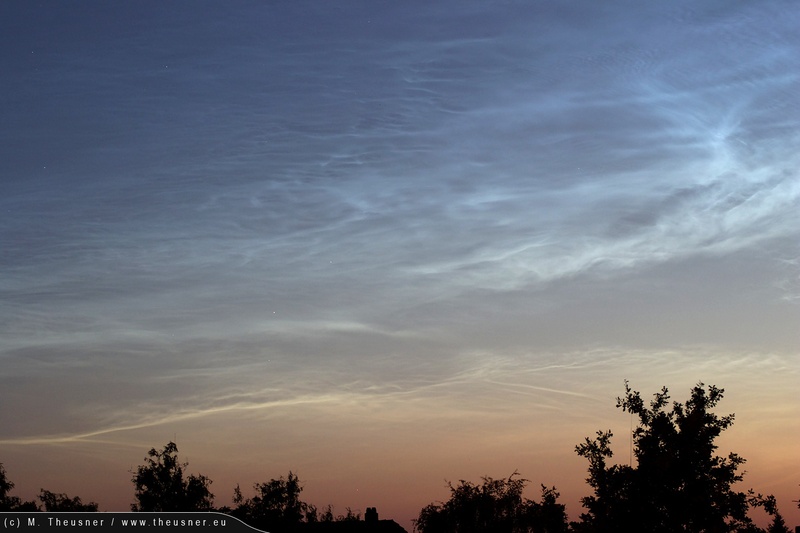 A very bright NLC display in the evening. 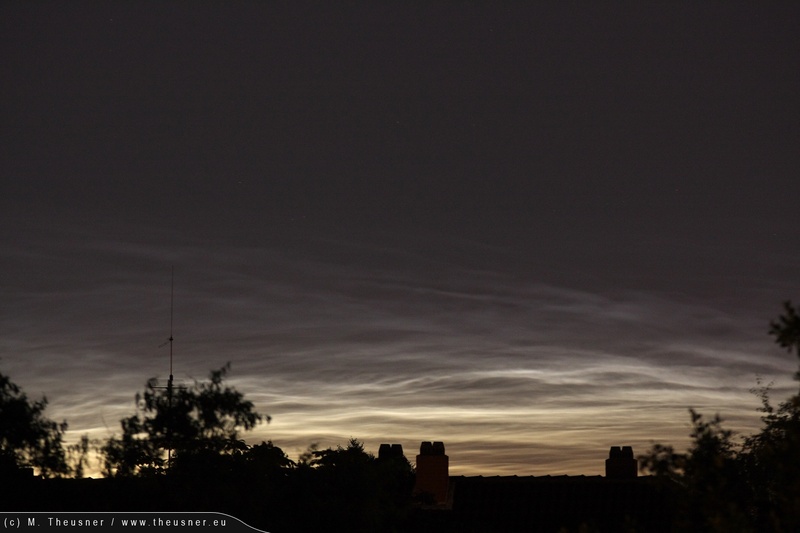 I noticed it too late so that NLCs were only visibly close to the horizon. 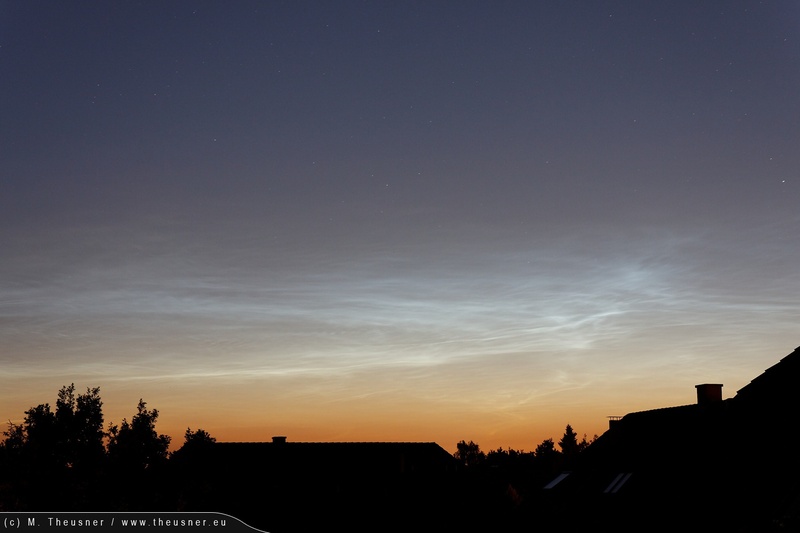 A brief and not very bright NLC display in the morning. 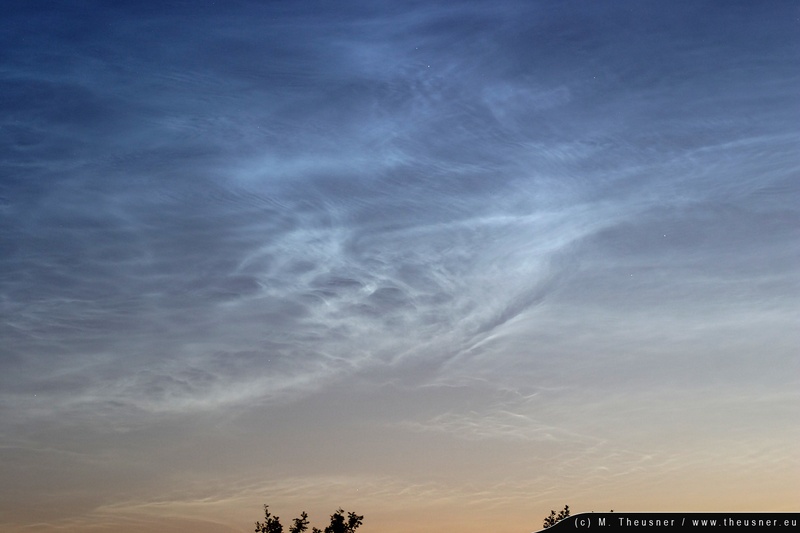 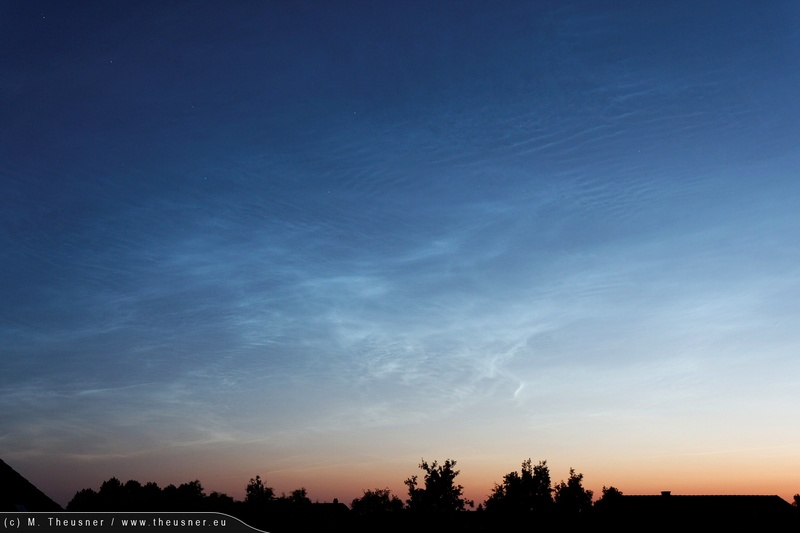 A spectacular morning display of NLC. 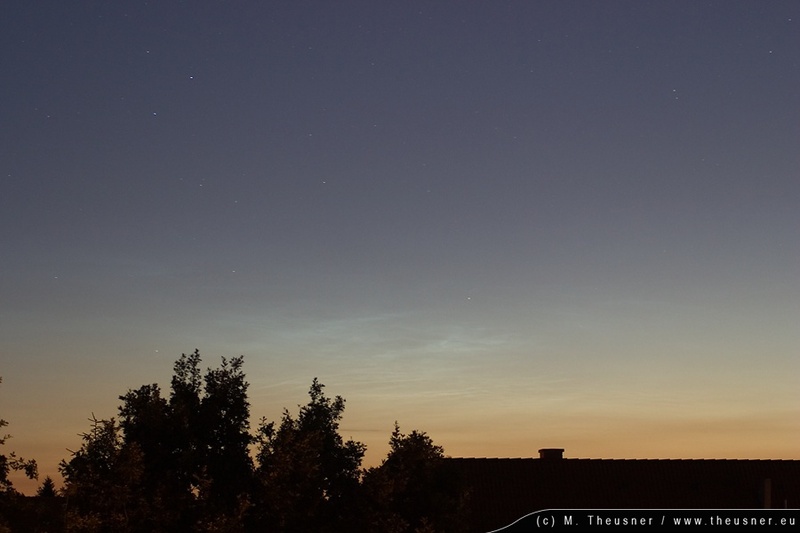 Already faintly visible in the north the evening before, the NLC developed to become very bright in the morning covering a large portion of the norther half of the sky. 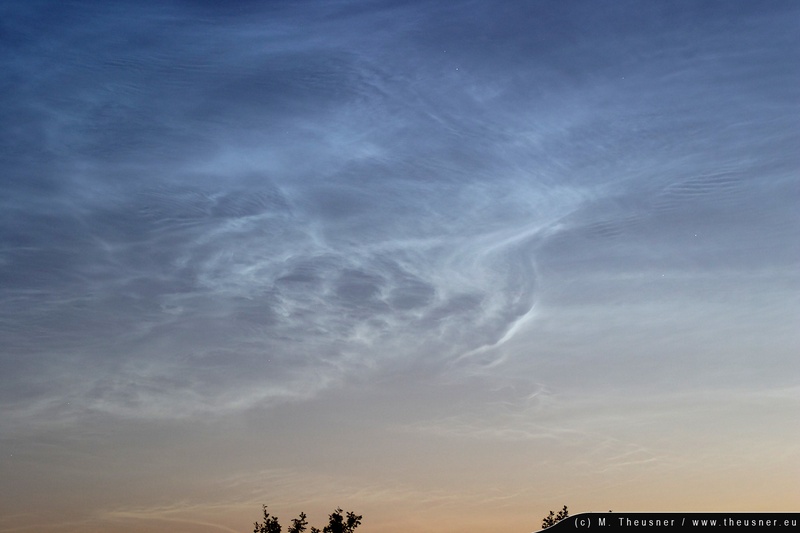 I reactivated my 10D to be able to capture image series of different interesting parts of the NLC - but, there were so many! 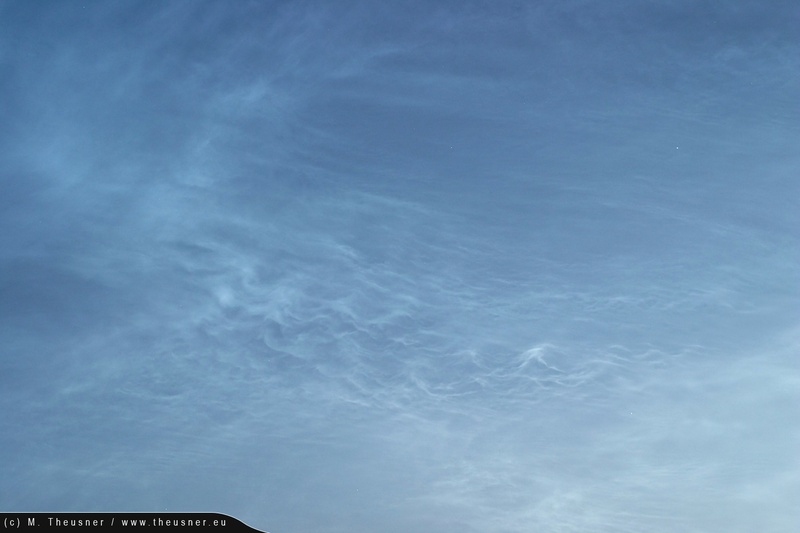 I then assembled the image series into AVIs (see below) which show the beautiful development of waves, Kelvin-Helmholtz-Instabilities and their breaking.